We live in an area with covenants. Lots of covenants. Most of them are regarding limiting anything that will affect a neighbor's view, so planting trees that will grow taller than the roof line or obstruct a previously unobstructed view are out. So is building up. Oh, how that would be cool - if we built up, we would have sweeping north and west views of Puget Sound. Not that we would ever plan on doing so, but either way it is verboten. I've been wanting to plant some sort of fruit tree in the front yard and figured I should probably check with the community board for approval since they can and will take me to court if necessary if they don't like what I'm planting. After a few emails and a couple of drive-bys, I finally met with the president of the board to show him where I was planning on planting a semi-dwarf fruit tree and describe to him how tall it was going to be. Since I don't want some behemoth in the yard (I want to actually be able to pick the fruit off of it without a two-story ladder), it turned out to be a relative non-issue. I should be getting written approval from the board next month. I haven't totally decided what I'm going to plant since I wanted to make sure I could actually plant something before I got too far ahead of myself. I'm thinking of an apple tree or a plum. Our neighbor has an apple tree and I know when it does it's pollination thing. I've got my eye on a Honeycrisp or an Akane or a self-pollinating kind. I also had asked about the recent "feeling" on owning chickens. The covenants say no to backyard poultry, but it was written before the city of Seattle started allowing it. The president thought chickens were cool and didn't think it would be too huge a deal, but in any case, I would need to present at the next community meeting and let them vote on the matter. I live on the outlying edge of the community so there would only be really two neighbors "affected" by any chickens. I'm not sure I want to do the chicken thing yet, but it would be nice to know if it's even an option. I do know they have recently started approving solar panels and the like, so hopefully there's an interest in more sustainable living here. In either case, I'm rather pleased that, at the very least, I can have a fruit tree in the front. Do you have any covenants that prevent you from doing something you want towards being more self-sufficient or sustainable? We live on 15 acres about 20 miles north of Raleigh, NC. The only "covenants" we have are a) can't have a swine operation, and b) can't operate a trailer park. That's it, and I love it! Our suburban Boston town allows 5 hens (someone told me when asking for approval always say hens, not chickens, they conjure up better images in people's minds!) so we have that, but other than the traditional pet animals, I don't think we'd be allowed any more livestock. We don't really have too many other restrictions - I think being in a town with bylaws that affect the whole town make it different from being in a "subdivision" with homeowner's association rules. When we lived outside of Chicago we were in a subdivision with an association and there were lots of rules. They didn't bother us then but I wouldn't live in a place like that now since I'd want to have my chickens and clothesline and be able to have a bit more freedom with what I do outside. That's great! Now remember, once you have fruit trees, if you have a mosquito problem you should put up bat houses because they eat tons of 'em and they love fruit trees and water! I am personally fond of pear trees as a recommendation. We planted an Akane two years ago and it has been the only apple tree we planted to be struck by disease so far. We trimmed the diseased parts and now call this tree Stumpy. Stumpy did make quite a comeback by the end of last year, though. Our William's Pride is a beautiful tree and hasn't had even a hint of pest or disease in those same 2 years with no spraying. Of course, I'm in WV, so I'm sure we have completely different apple critters. Or you could just plant plums (we have Superior and Alderson, as well as some little blue European jobs that were already growing in the fence-line when we bought the property), which would probably be easiest! Crunch, I'm gonna guess you are already all over this, but Raintree Nursery is fabulous for fruit trees, and right there in your region to boot. in my subdivision solar panels are forbidden as being "unsightly" the homeowners association rules were written in the 60's and let's not forget Houston is an oil town. recently the mayor of our fair city has written a letter to all of the homeowner's associations incouraging them to evaluate their rules and regulations and become more open and willing to allowing citizens the option to make more sustainable choices. my chickens have yet to be noticed by my neighbors or anyone else. though they're specifically prohibited by the rules, if you listen carefully on a quiet day you can hear, somewhere quite nearby, a rooster crowing. it's only a matter of time before the rules have to catch up to what the people want. No subdivision rules, just town rules: no "livestock" including chickens, no parking on the lawn, no cars on blocks, front yard fences must be no higher than 4 feet, you must mow your lawn at reasonable intervals. That's about it. We can have clothes lines, veggies in the front, etc. We have a neighbor with a double lot that has, essentially, an orchard of dwarf fruit trees. It's just heavenly in the spring! Your neighbors will love yours. I am glad you can have your fruit tree. We live in the city limits, so there are livestock rules...but we can plant anything that is legal in our yard. My in-laws live in a community where there are even rules about the paint on your house. I don't think I could stand that tight of restrictions. I'm bummed. We live in the middle of Tucson and can have poultyry, but bought an acre on the outskirts of town for better schools and room to plant an orchard, but no poultry. Doesn't make sense. The only covenant we have that causes problems is the chicken thing. We are allowed to keep up to four hens but their coop needs to be 10 feet in from any fence/boundary. That would place it dead center of my itty bitty back yard. I haven't decided yet if I'm up for putting the coop next to the fence (which would be perfect location) and see if the neighbors complain. One I know would be cool with it. The other two, I have no idea. In all honesty, though, I'm not sure I'm ready for chickens. Sure, they may be easier than a dog but a dog is like having another child. How do they compare on the cat scale? No chickens. No rabbits (although how would they know?). No livestock. Clothesline must not be visible from any angle. There is nothing specific about vegetables in the front yard. No one has complained about mine, but when my friend ripped out all her flower beds for edibles they raised a fuss, calling it "unappealing." We CAN plant as many trees as we like. I would love to have a peach tree! Right now we are renting in a neighborhood with deed restrictions. They can fine us if the grass gets too long, that type of thing. It's a bit crazy but also not too much of a problem. Pretty soon we are going to buy a house in another city and this made me think about finding out about certain restrictions we may encounter, especially since I plan on getting rid of most or all of the grass in the front yard for xeriscaping. A subdivision near me doesn't allow laundry to be hung out to dry or composting of any kind!!! Do you have any red currants in your yard? They're shrubs that produce lots of beautiful tart red berries. I make cherry and strawberry preserves, apricot, peach, plum and red currant jam. The currant jam is the one most people can't get enough of, it's sweet-tart and a beautiful ruby red color. The other great thing for a procrastinator like me is that the fruit hold on the plant for several weeks without deteriorating. I highly recommend them! No covenants (funny, I just blogged about this last week) and it was a deciding factor when we bought this place. King County zoning laws are in place, of course, but they are pretty relaxed. Of course, the down side to all this freedom is the "freedom" to drive 10 miles to the nearest bus stop! The apple variety "Liberty" is the one that does well for me here. Definitely taste varieties at the farmer's market before you commit to just one. Or get a grafted tree that has several varieties. See http://raintreenursery.com. We don't have much in the way of restrictions. Basic city ordinances, like 'no livestock' and 'cut your grass regularly' and 'don't leave junk vehicles on your lawn'. We avoided the HOA problems in large part because to get a home the size we wanted, we had to buy an older home in an older neighborhood, built back when people put clotheslines and gardens in their back yards, and did pretty 'make the neighborhood look nice' stuff in their front yards. I am SO GLAD we didn't decide to get a smaller newer home, in an area with HOA restrictions. Having to get permission to plant trees or do landscaping or paint my house would not sit well with me. found with our chickens the sunnier the location of their "hen hut" the better they laid. Took us several batches of chickens to figure that one out. They are great bug terminators and really easy to care for. Just be sure if you do get chickens they are suited to your location. Some tolerate cold harsh weather while others are more warmer climate types. I hope your chickens are approved, I live in Seattle's Ravenna neighborhood and my neighbors love our new chickens. 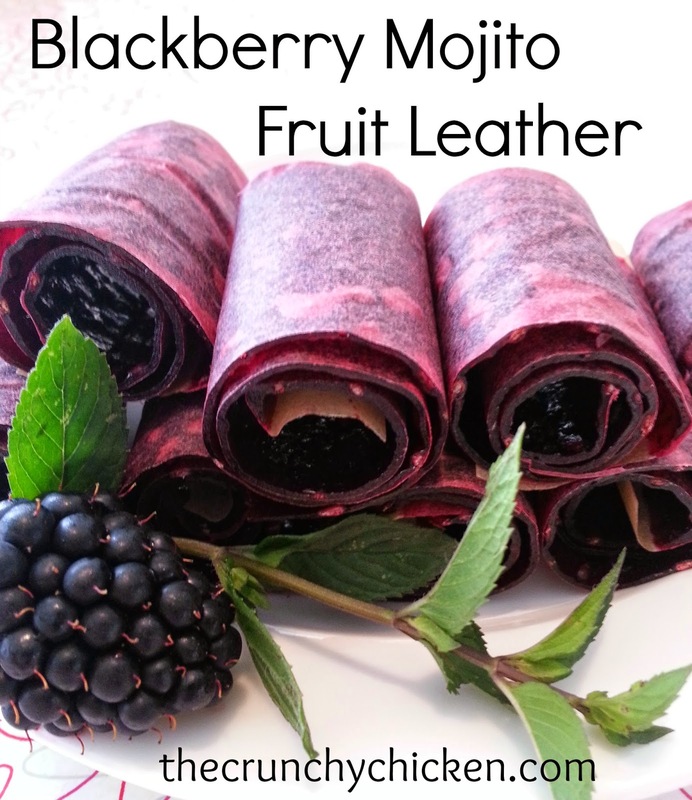 They are a great addition to our 'homestead' and I highly recommend them! About your choice of apple- you're not really stuck with just one, if you're willing to learn a new skill. Grafting. Grafting/budding apples is EASY, it really is; it needs about a half hour of education (web is fine), then paying actual attention to what they tell you. If you plant something that is "semi-dwarf"; anything you graft onto it will stay that way; it's the root stock that decides. So you could, in fact- plant one tree, then graft several branches to other varieties. It's fun; you'll get much better pollination, and everybody will be astonished at your ability to do magic that way. Is that a West Coast thing? Or a city thing? It's so bizarre to me... When we built our house, we had to get a permit and all that, but I can't imagine needing to do the same or get approval for a tree! We're planting 6 apple trees in the spring, a berry patch, and getting chickens. Our lot is just under 2 acres, and the zoning regulations say we can have up to 20 chickens on an acre if we want. Which is way more than we need. I've never heard of a "covenant" before. I have an Akane apple tree I purchased from Raintree in 2002. It is very disease-resistant, and loaded with small (2.5-4 oz) sweet-tart apples. Although the tree is only six feet tall, I got about 15 lbs of apples from the tree last fall. They don't keep, and aren't good for baking, but they're chin-dripping good. They are the first of my trees to ripen at the end of August. If you have apple maggots or coddling moth in your area (ask your neighbor if they have a problem) my recommendation is to be to get yourself some of those footie socks that shoe stores have to try on women's shoes. You can buy them new at Raintree, or, as enterprising as you are you may be able to get a store to save used ones for you. You slip the sock over each apple (time consuming, but the kids can help), twist the end, and the apple maggots and coddling moths won't be able to lay eggs in your apples. I can't make head or tail of what we're allowed or even whom to ask! I do know that we are not allowed livestock of any kind - I think we can only have 2 cats, 2 dogs and then small pets. I know I read somewhere that we are not allowed laundry outside, but now I don't know where. Handyman Hubby thinks it was in our deeds, but we don't have a copy of those. We can't leave a vehicle unmoved for more than 24hrs and we can't have a trailer RV or such. We can't build a fence over a certain height without a permit, we have to maintain the yard reasonably in terms of weeds etc. We are not allowed outbuildings of any sort as far as I remember. Things like walls have building codes for them and hubby says we're not allowed to use gray water on the garden. We have huge trees and there appear to be no restrictions on that. We are allowed to build a tree house (I checked that one). I believe we can plant what we want provided it does not disturb access along the sidewalk. We've been living in apartments and while most of them have rules about what can and can't go on your balcony I've never seen one enforced so we still hung our clothes out. When we started renting a house in Philly the owners told us we were pretty much free to do whatever we wanted in the backyard and the neighbors wouldn't care. Honestly I think everyone here has the mentality that no one else has the right to tell them what to do. Even the notoriously strict Philly parking authority doesn't come this way. 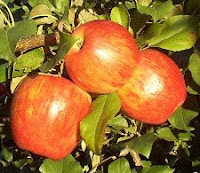 I was thinking of adding 3 chickens to go with the for Columnar Apple trees I am going to plant- but thats not definite. No covenants here, that is actually why we moved. I couldn't live with all the rules anymore. Bantam chickens are really small! You could easily have 3 or 4 in a dog cage and no one would ever know. I could have had them in my last house on 1/8 of an acre surrounded by neighbors and they would never have known. And yes, they are really easy to take care of. I find the whole notion of covenants similar to the forced lightbulb issue. The need to keep homes and values of homes at the level they need without a public eyesore next door is critical, but I see the perfectly manicured lawns and pruned shrubs a freak of nature anyhow. Funny trying to be self sufficient and earth friendly in covenant restricted areas is not really possible is it? One must still drive to even a local market and use money to buy the products. I do but I ignore them. Our community association lives in a legal grey area anyway -- they haven't done anything to fulfill their original mission and it's been well over 25 years; according to the original incorporation they should have dissolved about 15 ago. We have hens, but no roosters. I would love a miniature sheep or goat but I think that would be pushing the issue too much! My neighbors are fine with the chickens, and look forward to eggs whenever they start laying for the year. I'm pretty confident that you live in the part of our 'hood that I could never afford on a teacher's salary..but this whole covenant thing seems like just one more thing pushing me out of the city. Novemberjuliet - I'm in a weird part of north Ballard that has covenants. The people across the street from us don't have the same restrictions. Living in suburban South Orange County is basically living in one big covenant. Everyone is so concerned about everyone else's property and what they do with it. It is beyond annoying. Only restrictions here are on fence heights. 6 feet max. Trees are your business except over a certain size, you have to get permission to remove them. We have 7 bantams in the backyard and they are easy to care for. About cat status or a little less. I had only one requirement when buying our current property: no homeowner's association. In the process of buying, our real-estate person neglected to tell us of the covenant restrictions. We eventually worked it out with the seller and the covenant author, dropping everything but having pigs or more than two cattle. I can live with this :-). Crunchy, be sure to read closely about plums. Many of them require two or more different types to pollinate properly! I totally recommend the Akane. We had them when I was a kid on my parents farm in Victoria BC and they were excellent, so prolific and did really well in this climate. Pretty sure you are in the same zone as they are.